Before you associate these adjectives to me (which I gladly accept as a compliment…haha), I am actually pertaining to the Monument To The Nation, you know, that tower behind me. It’s tall because it stands 51.3 m high on a 24 meter square platform. It’s dark because it symbolizes the dark history of Korea and how the people of the nation struggled to survive and achieve the independence, unification and prosperity. It’s handsome because it was neatly designed to evoke the form of a wing of the bird soaring high up in the sky to show that Korean spirit is indomitable. It was also made that way to look like a praying human hand. The tower is located right in front of the entrance of the Independence Hall of Korea in Cheonan. 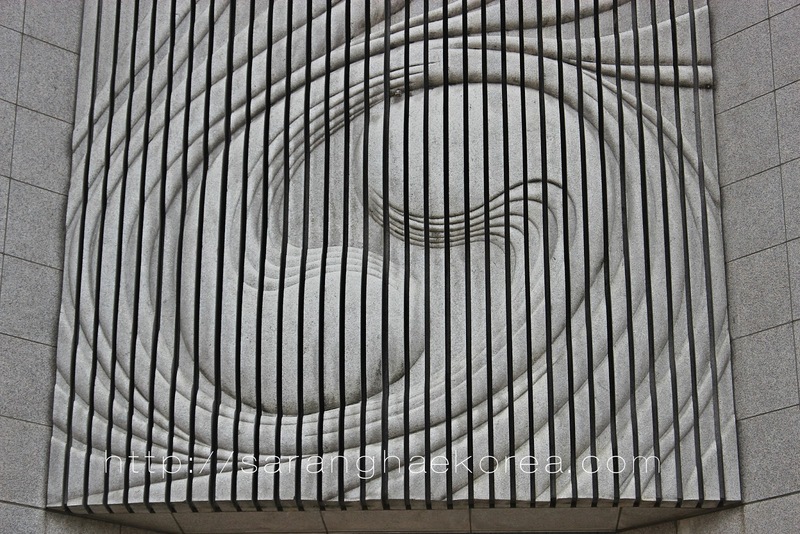 This has become the striking symbol of the hall. Before you can go to the Independence Hall, you must pass at this tower first. I like how every single design of this tower has a meaning. 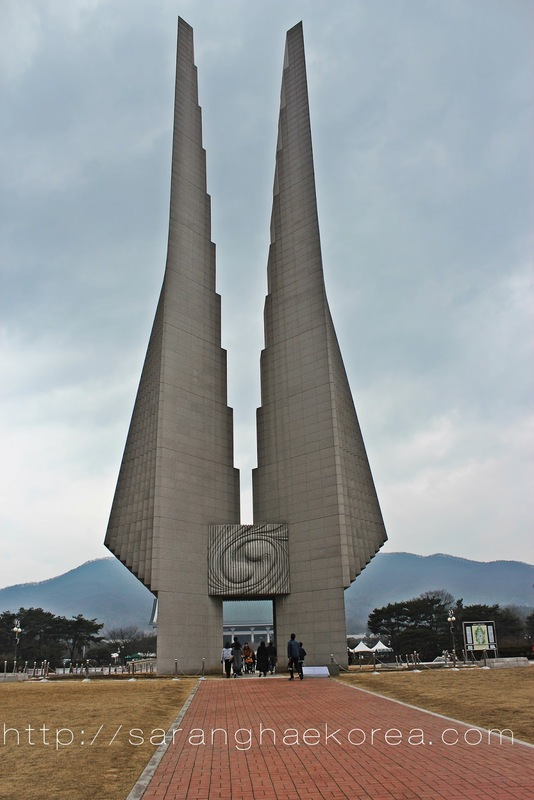 For example, the platform of the tower has a map of Korea embossed and 24 bronze signs signifying the 24 directions. 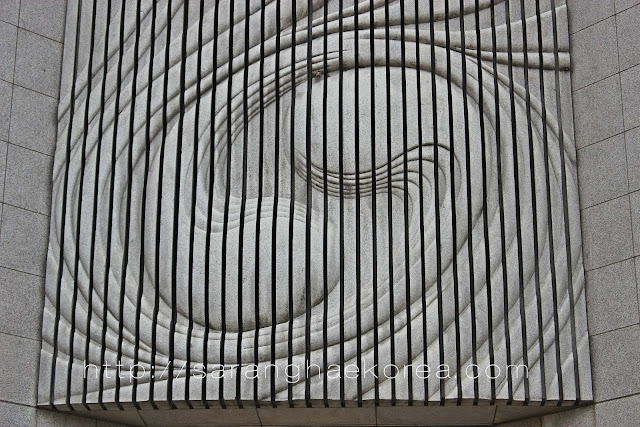 The front and back of the monument has very interesting carvings too. 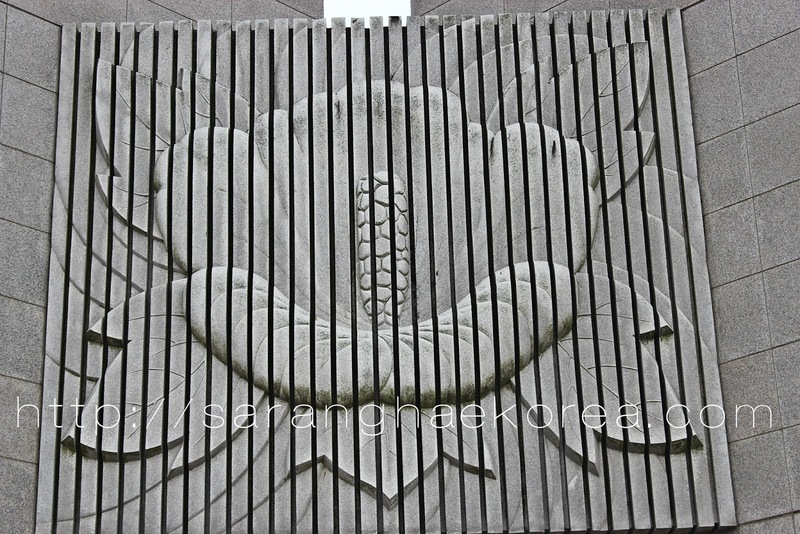 At the front, you will see a carving that resembles to the “taekukgi”, it’s a symbol you see in the flag of South Korea. 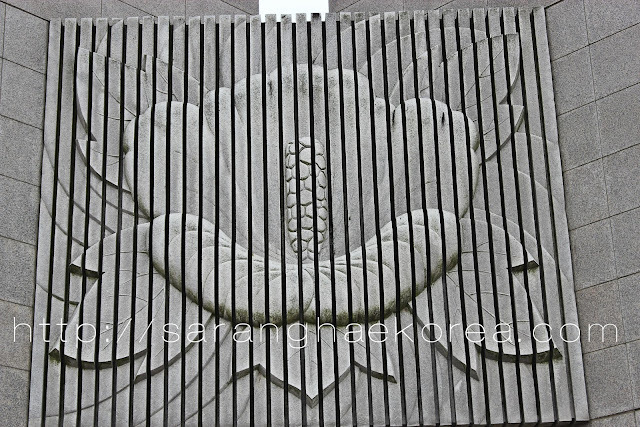 On the other side, you will see the carving of a Rose of Sharon, the national flower of Korea. You will also see mosaic pieces surrounding the tower, these mosaic pieces represent the four faithfuls which are Cheongryeong, Baekho, Jujak and Hyeonmu. The Monument to the Nation maybe just a simple tower with great carvings to some, but for Korea, this is the symbol of their persistence and determination to get the independence that they are enjoying right now. Whether you perceive it as a bird’s wings soaring up high or a praying hand, it doesn’t matter. 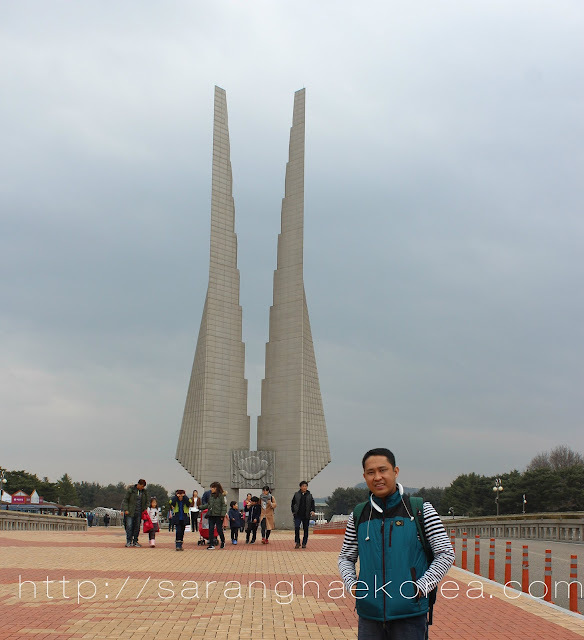 All we know is that this tower reminds the people of the love of Koreans to their country. Thank you very much for describing this monument. It is sometimes worth considering a story.